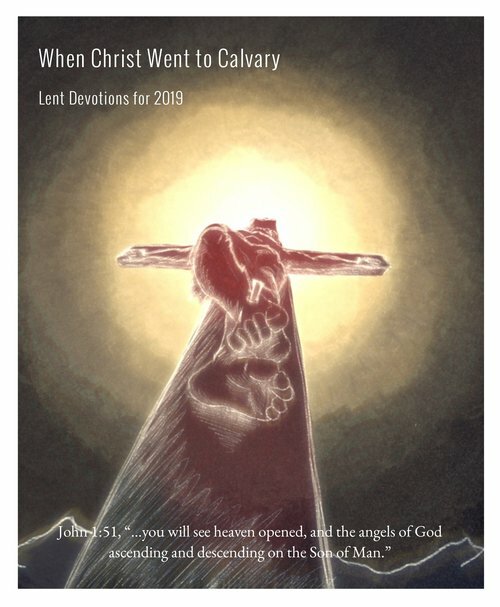 Sola Fide is once again providing a devotion book for the season of Lent which starts on Ash Wednesday, March 6th. Each day features a devotion and a prayer based on the theme "When Christ Went to Calvary" and looks at all our Savior did to accomplish your salvation. The devotions are available for you in a number of different formats. You can pick up a hard copy of the devotion book at church in the welcome area. You can download a pdf of the devotions below. There is also an option of having the devotions emailed to you daily. Finally, there is also an audio version of the devotions that you can listen through your favorite podcast app, through Apple iTunes, or Google Play. Just search for "When Christ Went to Calvary." The devotions were written by Pastors and Teachers from our area of the WELS and in the audio recordings, you can hear Mr. Schmiege's musical gifts used in the introductions. I hope these devotions will serve as a way for you and your family to reflect on God's great love for you in the weeks leading up to Easter Sunday and the victory Christ proclaims there!